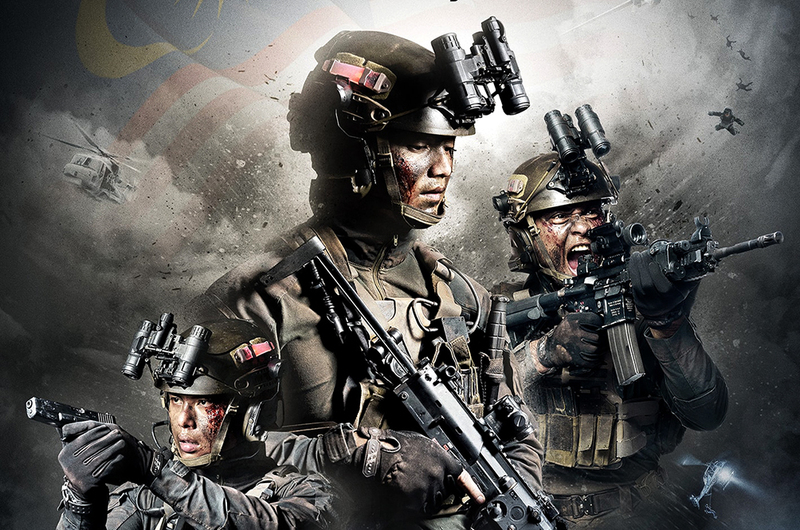 A great Malaysian-made military movie doesn't come along very often, but that's about to change really, really soon. Come 27 September, the highly-anticipated local movie 'PASKAL: The Movie' will be shooting its way into cinemas. Starring Hairul Azreen, Ammar Alfian and Henley Hii, the movie follows a Lieutenant Commander from Pasukan Khas Laut (PASKAL) as he navigates the dangerous aspects of being a military man and at the same time, dealing with loss and betrayal. We've been treated to an early screening of the movie, and while we can't divulge too much about the movie, we are very certain that 'PASKAL: The Movie' will be the most explosive local film to hit cinemas this year. If you have not heard of PASKAL before this, don't worry; we haven't either - until we watched the movie. 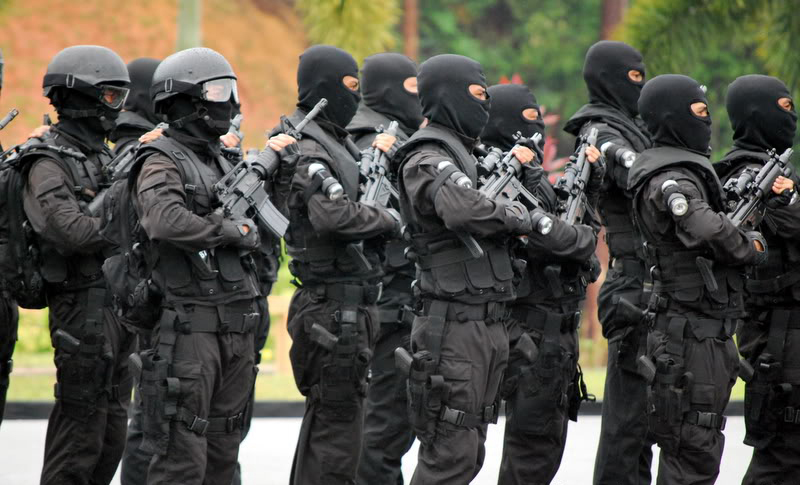 PASKAL is one of Malaysia's - if not the world's - most elite military units. 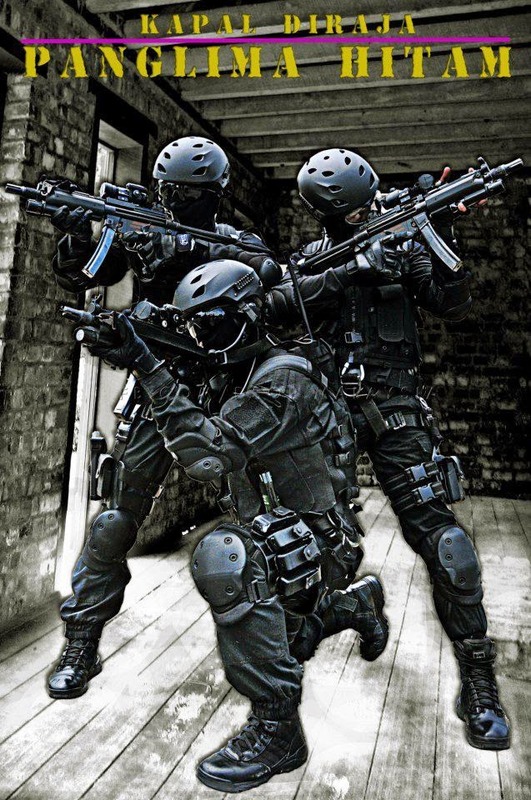 Not only are they the best at conducting small-unit maritime military operations, they are also adept at jungle warfare, guerrilla and counter-guerilla warfare, hostage rescue and even counter-terrorism. Be it on land, the sea or the sky, if you did something bad, they will hunt you down. 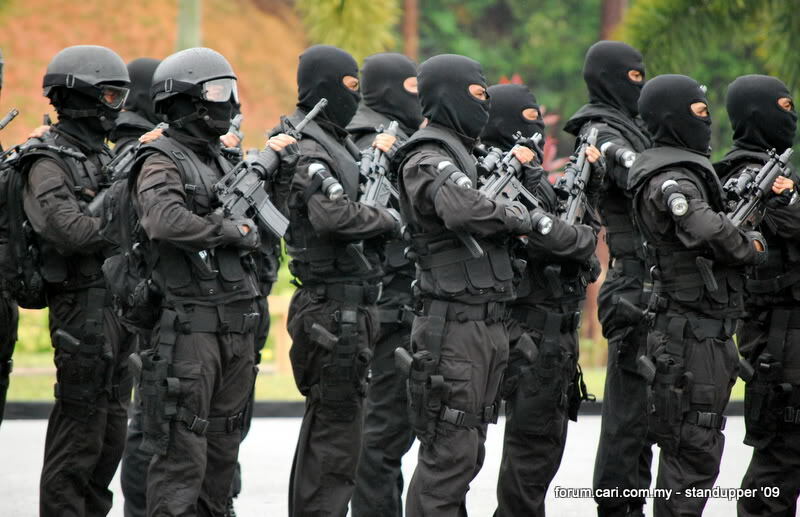 In fact, PASKAL members are so highly-skilled and their reputation is so well-respected, a host of military units around the world, including the US Navy Seal, would come all the way to Malaysia just to train with the team. Check out the insane physical challenges they have to go through if they want to join this group of really scary men. We've seen our fair share of 'based on true story' films over the years, but how often do we see one from Malaysia? 'PASKAL: The Movie' will change that. The director of the film, Adrian Teh, told us that the movie is inspired by two off-the-radar but very successful PASKAL missions. One involves the re-possession of a chemical tanker which was hijacked by pirates in the Indian Ocean in what the military called 'the perfect mission'. The other involves the rescue of several rescue volunteers by a PASKAL member after their convoy was attacked by a group of gun-wielding men in Angola. Here's a fun fact: the PASKAL member managed to rescue the volunteers despite not having a firearm to defend himself. One of the coolest parts about the movie is that it's not just based on the life of PASKAL members, they are literally the stars of the movie too. Director Adrian told us that instead of using cameo actors, he's decided to feature real-life PASKAL soldiers in the movie to make the scenes more believable. 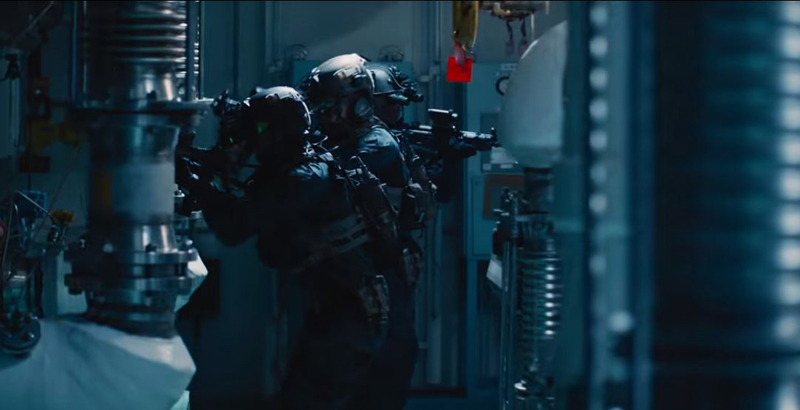 So, if you see some muscular, mean-looking dudes on screen during the movie, yep, they are probably PASKAL members. Real men do their own stunts, right? Director Adrian revealed to us that the main actors in the film, especially Hairul Azreen and Ammar Alfian, performed their own stunts in the film. One of the most challenging stunts in the film involves the actors being dumped into a pool with their hands and legs tied, and both Hairul and Ammar were required to free themselves underwater. To prepare for their roles, Director Adrian said the actors spent a few weeks training and living like a PASKAL trainee at their base camp in Lumut, Perak. They were also put through actual PASKAL physical training, such as operating firearms and basic jungle survival. Judging by the injuries suffered by the actors (Ammar actually ruptured his eardrum performing a stunt), you know the film is going to be amazing. Perhaps the most impressive bit about the movie is that the production crew went to great lengths to ensure that what you see on screen is as real as it gets. That means that every gun, every bullet fired, the physical trainings and the military code of conduct are the real deal. 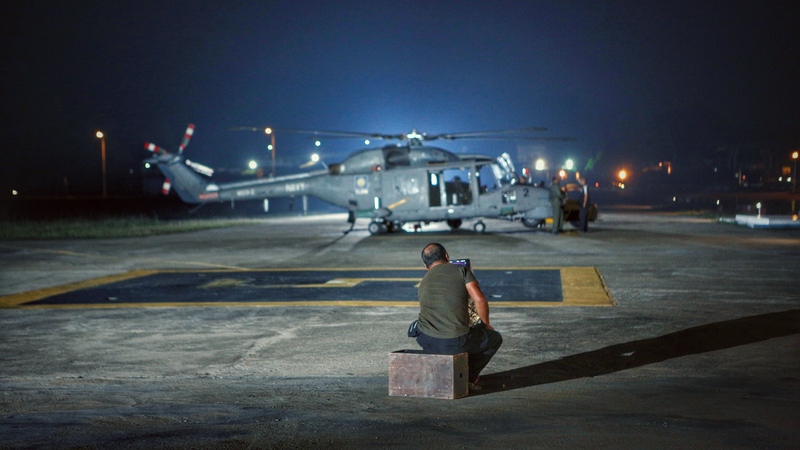 Director Adrian revealed that they always have a firearm expert and a PASKAL liaison on set to ensure everything they do mirrors the real life, from the way they hold the guns to the military salutes. Nothing is made up (well, except for the plot twist in the film). The Super Lynx 300 helicopter and the KD Tunku Abdul Rahman submarine you saw in the trailer? Yep, those are real military assets used by the PASKAL team for their missions. So, are you guys excited to catch 'PASKAL: The Movie' when it premieres? 'PASKAL: The Movie' will be released in local cinemas on 27 September 2018, so you still have time to plan a movie night with all your buddies. 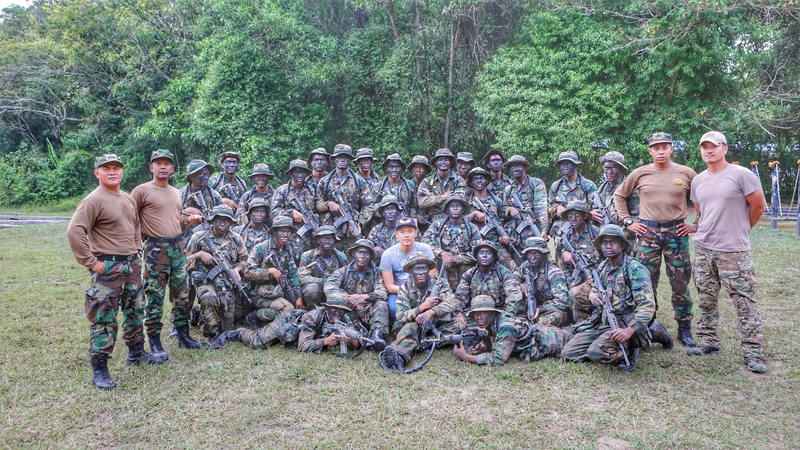 Director Adrian Teh is taking on the monumental task of helming Paskal, an action movie inspired by the bravery and heroism of the elite Royal Malaysian Navy (TLDM) force. At a recent launch in Kuala Lumpur, Teh shares what he hopes to achieve with the project: “When I did my research on Paskal, which is an elite team in the Royal Malaysian Navy that focuses on special operations, I was amazed by the stories of their successful missions. The RM10mil production by Asia Tropical Films include GSC Cinemas and Multimedia Entertainment as investors. Later this month, Teh and his team will embark on a two-month shoot at locations in Kuala Lumpur, a TLDM base at Lumut in Perak, Sabah and Morocco for the movie, which is scheduled for release next year. His cast include the likes of Hairul Azreen who plays Lieutenant Commander Arman Anwar, Ammar Alfian as rebellious team member Jeb and Henley Hii as fellow team member Joshua. The movie also includes Mixed Martial Arts fighter Theeban Govindasamy who will be making his acting debut as Misi. It took Teh three months to assemble his main cast members. Then he made them undergo a three-day intensive Navy training in Lumut. The cast had to take swimming lessons, knife training as well as learn to assemble weapons like a soldier. Teh also required some of them to lose weight to achieve a leaner look. Actor Ammar, who is known for his muscular physique, had to shed as much as 20kg. “It was difficult at first. I had to change my diet … and then things got easier,” he said. Although Teh made his name through romantic offerings like Ice Kacang Puppy Love and The Wedding Diary, he is sure he will be able to handle an action flick like Paskal. “I really want to raise the bar on action movies in Malaysia. That’s why I want my team to go through a series of training sessions so they can really immerse themselves in their roles. “At the same time, Paskal is a story about friendship and these sessions should help my cast members form a sense of brotherhood,” Teh added. Paskal will feature two rescue missions inspired by real-life events in Angola back in 1998 and the MT Bunga Laurel hijacking in 2011. 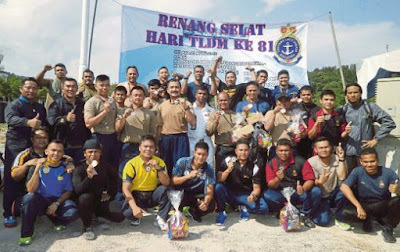 Lumut: Pasukan Khas Laut (PASKAL) Tentera Laut Diraja Malaysia (TLDM) muncul juara keseluruhan Kejohanan Renang Selat Sempena Hari Ulang Tahun (HUT) TLDM Ke-81, baru-baru ini. Seramai 115 anggota TLDM dan lapan awam termasuk seorang peserta paralimpik dari kontinjen Terengganu menyertai acara renang sejauh 2.05 kilometer (km) yang dilepaskan Panglima Armada Laksmana Madya Datuk Mohamad Roslan Mohamad Ramli di Selat Dinding, Pangkalan TLDM, Lumut pada jam 8.30 pagi. 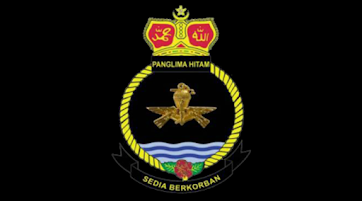 Pegawai Memerintah Kapal Diraja (KD) Panglima Hitam PASKAL Unit 1 Komander Mohd Redzuan Talib berkata, kelebihan latihan yang dijalankan setiap minggu ‘bonus’ untuk pasukannya memenangi kejohanan berkenaan. “Renang 3.2km salah satu rutin mingguan yang dilalui setiap anggota PASKAL dan latihan itu menjadi kelebihan pasukan kami. “Dua perenang PASKAL juga pernah menyertai renang Selat Inggeris pada 2013 dan kehadiran mereka membantu kami muncul juara keseluruhan,” katanya. Pada kejohanan kali ini, dua kategori dipertandingkan iaitu bawah 34 tahun (B-34) yang menyaksikan juara dimenangi Bintara Muda (BM) Laurance Gerang dengan catatan 26.57 minit, naib juara, Laskar Kanan (LK) Roslan Zawawi (26.74m) dan ketiga, LK Estino Tanayu (27.16m). Sementara itu, kategori 35 tahun ke atas diungguli Bintara Kanan Ramuyan Talit (28.36m), tempat kedua BM Fitri Habu (30.30m) dan ketiga Pegawai Waren I Jeffry Mugah (31m). Wakil paralimpik Mohd Sabki Arifin yang menerima jemputan daripada TLDM menduduki tempat ke-14 bagi kategori B-34. SEBAHAGIAN peserta bergambar kenangandi Jeti Operasi Pangkalan TLDM, Lumut. The Unofficial site of Royal Malaysian Navy. A personal fan page dedicated to PASKAL. RMN has the right to dispute any facts and data.